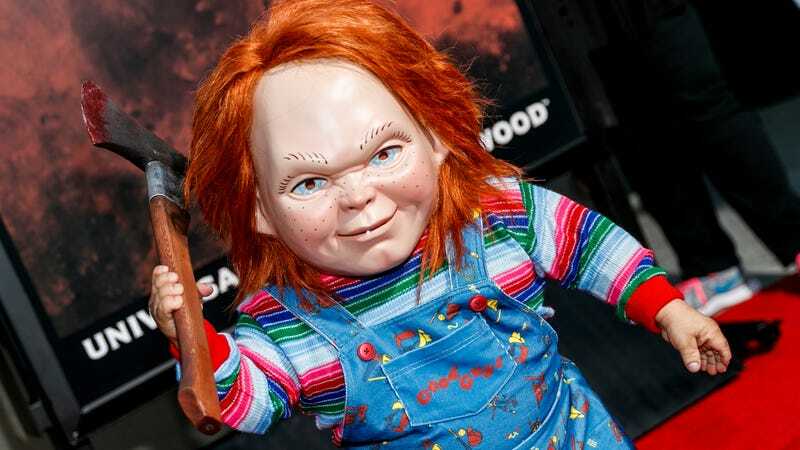 The Child’s Play franchise bifurcated last year when MGM announced they were embarking upon a reboot of the killer doll franchise, with classic Good Guy doll Chucky evolving into “a technologically advanced toy” (yawn). Roughly around the same time this news dropped, Child’s Play creator and longtime shepherd Don Mancini—he’s been involved with all seven Child’s Play titles—revealed that he and and David Kirschner were developing a TV series that would continue the story they’ve continued to build over the years. Now, reboot be damned, that TV series has a home. Variety reports that Child’s Play will premiere on SyFy, which is good considering the network just axed the excellent Channel Zero and needs some fresh blood. Interestingly, Channel Zero’s Nick Ancosta will executive produce the series via his new Eat The Cat banner. Previously, Mancini said that the series would unfold in eight parts, continuing the story laid out by 2017's Cult Of Chucky. Also, he confirmed that Brad Dourif would again be lending his signature screech to Chucky. None of that, however, is confirmed in the SyFy announcement. MGM’s reboot has a pretty great cast in Aubrey Plaza and Brian Tyree Henry, but its unclear just how close it’ll hew to the original. Its first poster revealed a doll that looks quite a bit like Chucky, though it’ll apparently go by the name Buddi. It carves its way into theaters on June 21.